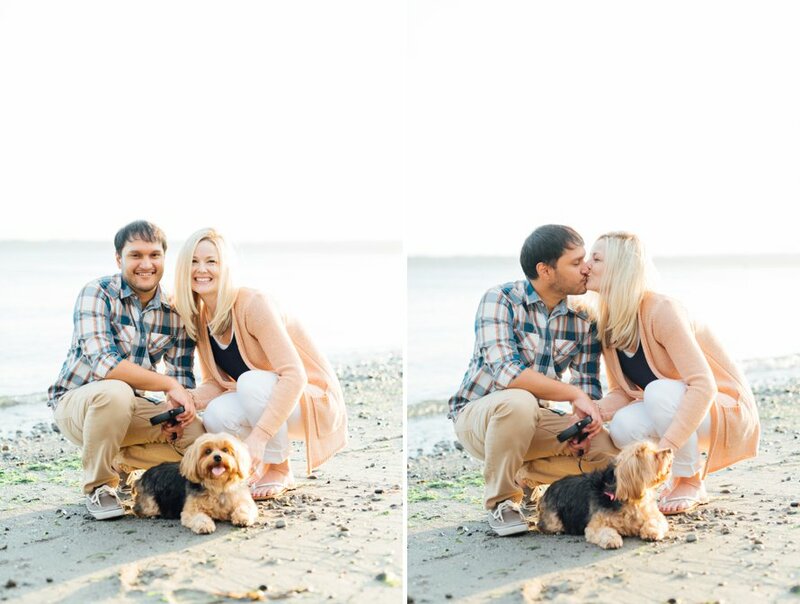 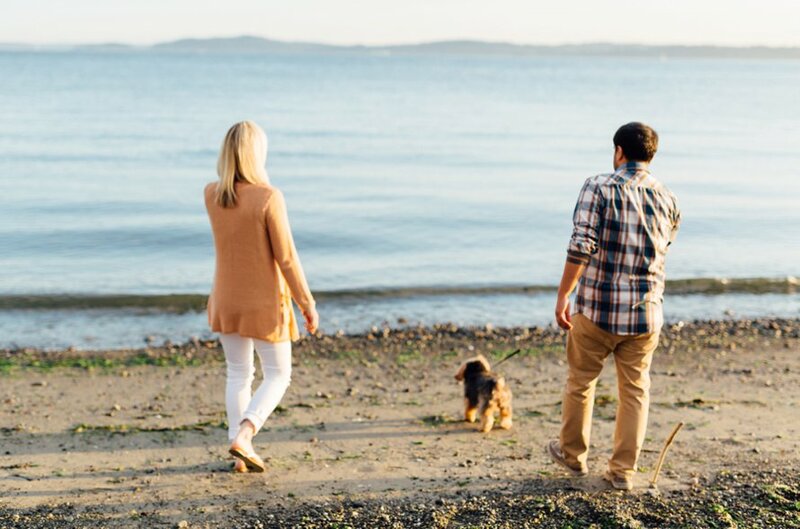 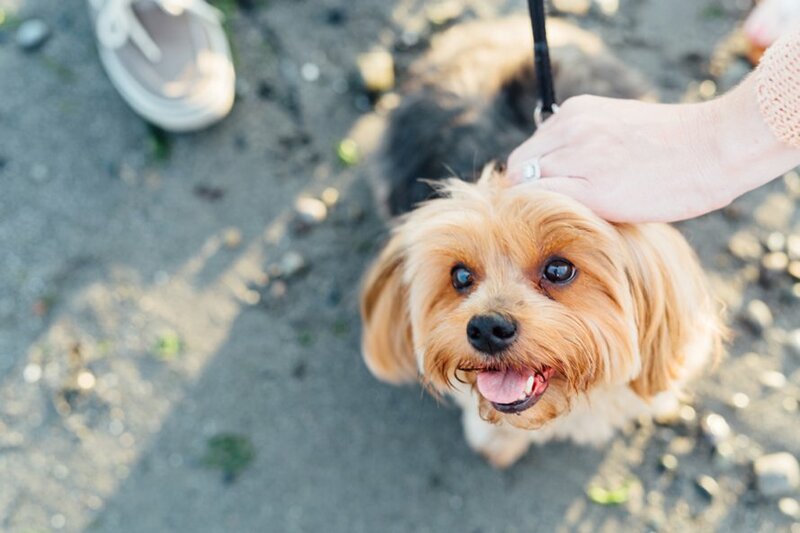 A warm Seattle sunset, sand at our feet & the happiest pup made for such an endearing engagement session! 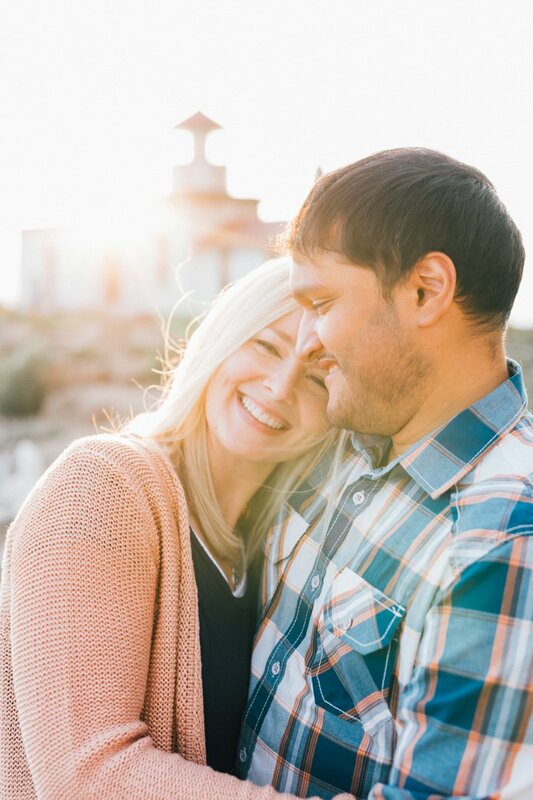 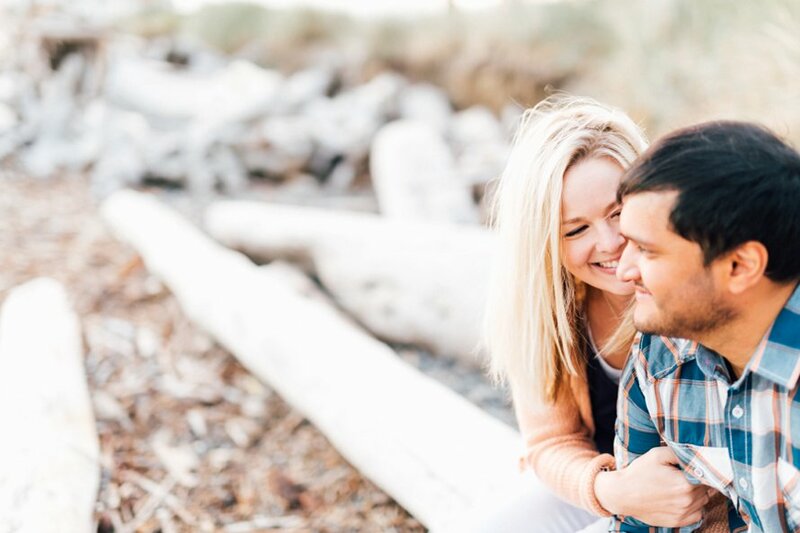 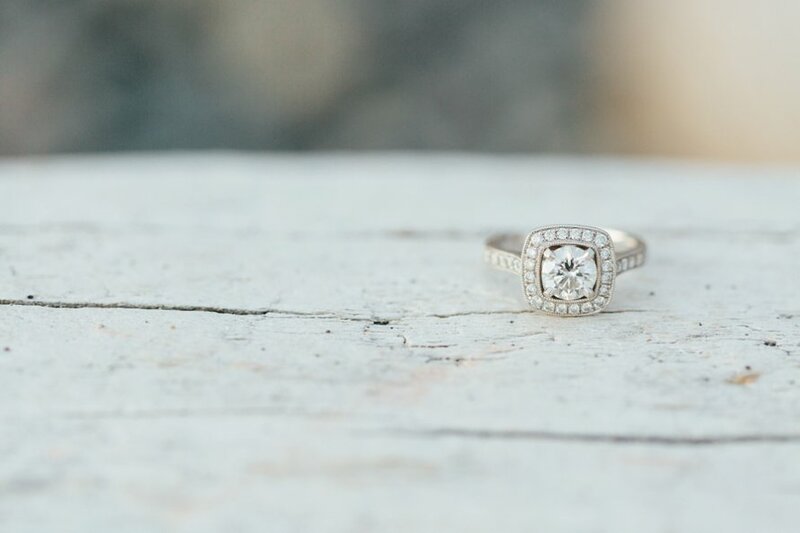 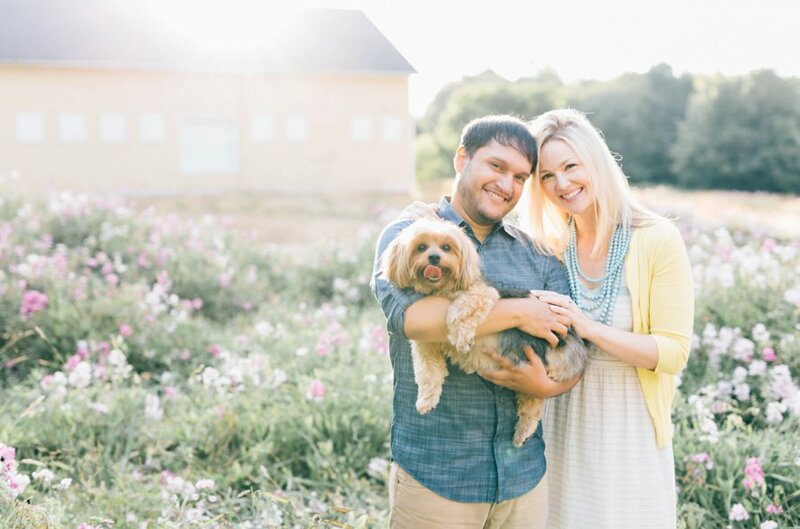 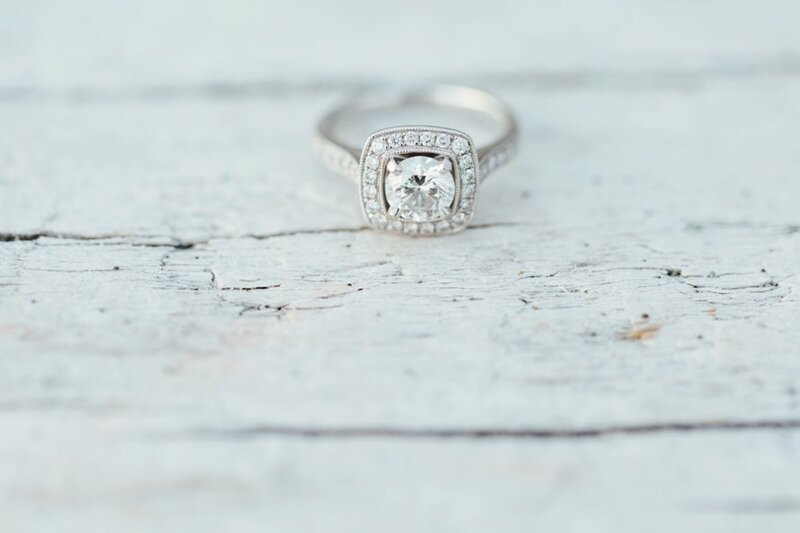 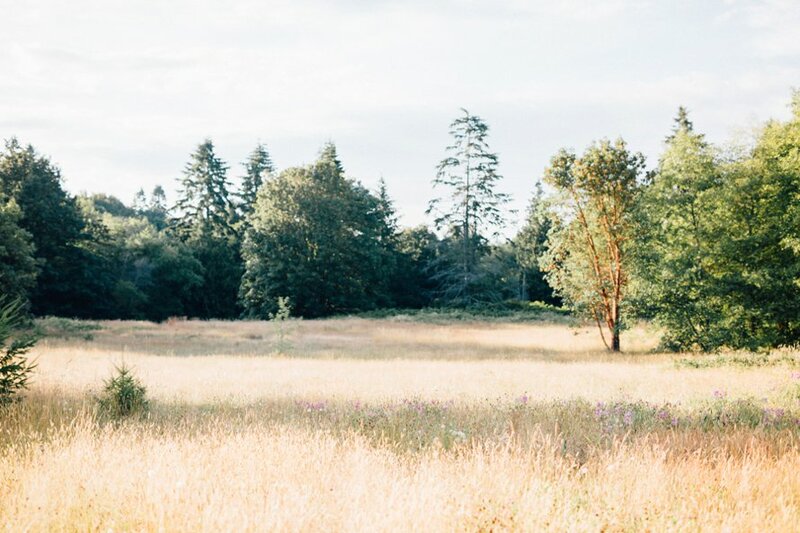 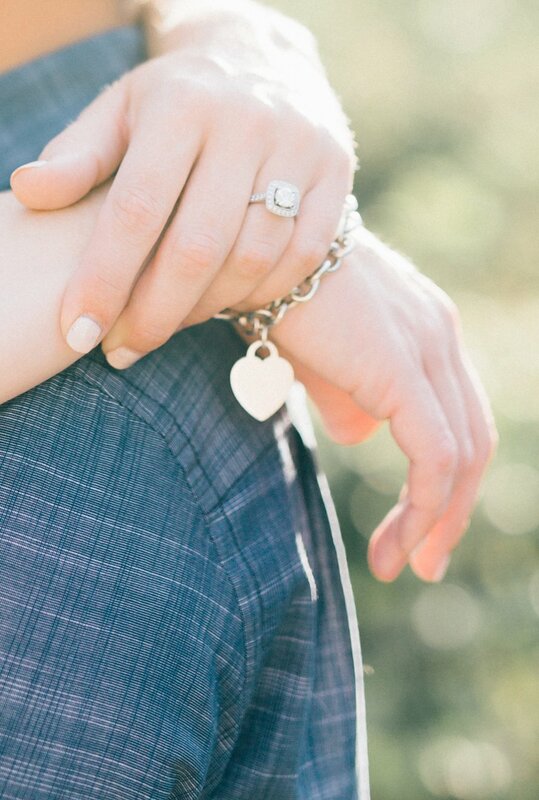 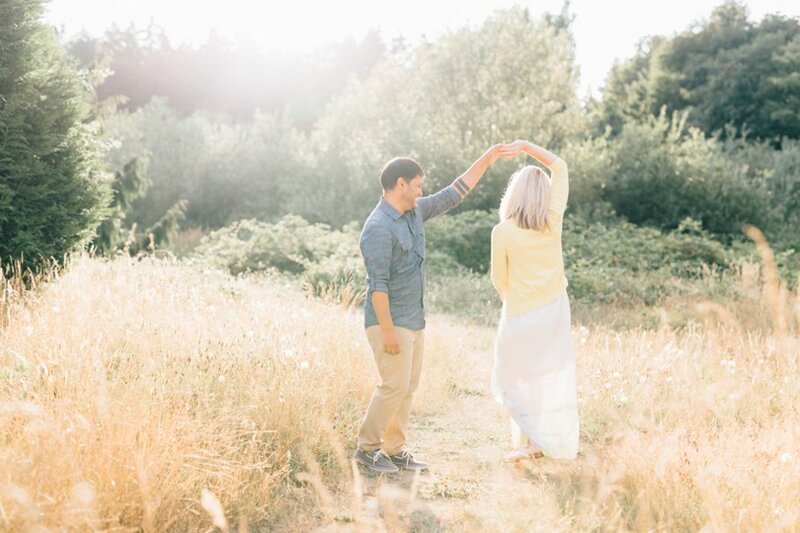 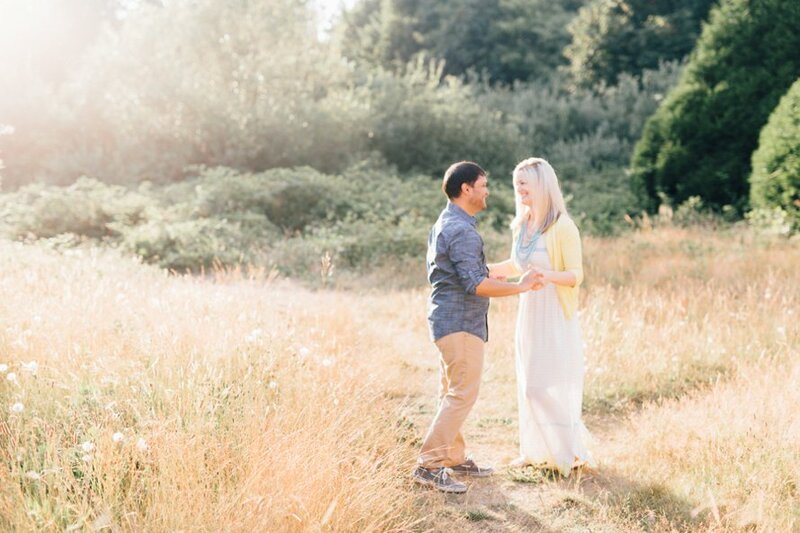 This Discovery Park engagement couldn't have fallen on a more gorgeous evening. 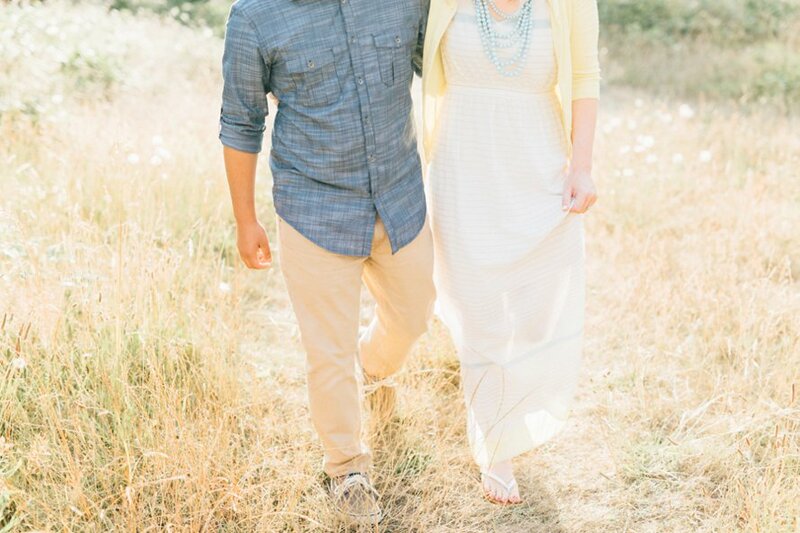 I had the best time exploring the park with them alongside Maddie! 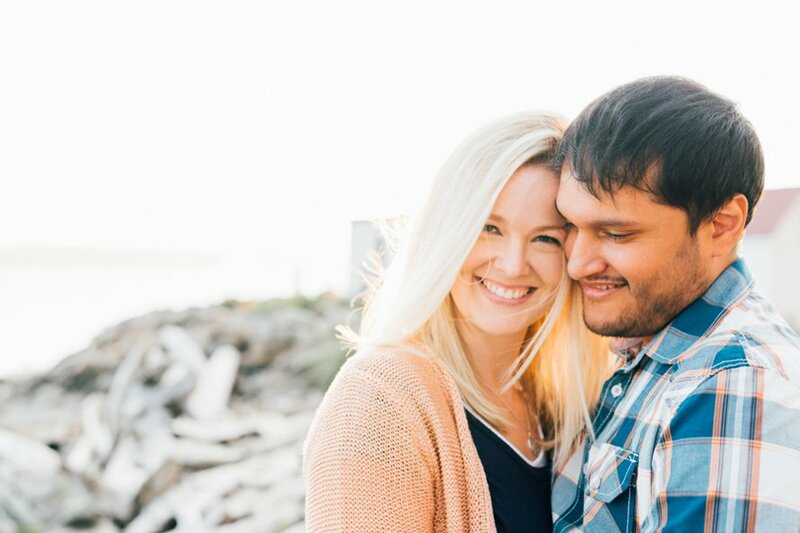 Kari met Ric when she first heard the neighbors band playing in college and came over for a listen! 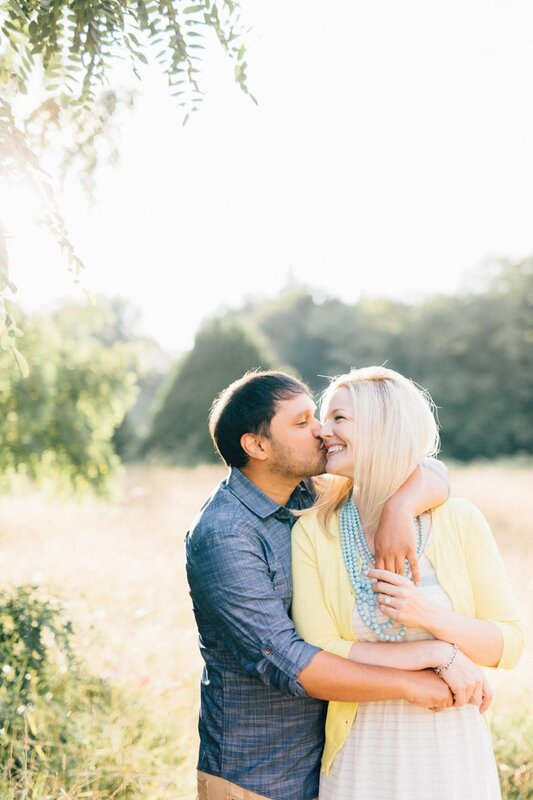 It just so happens Ric graduates with another degree the day before the wedding! 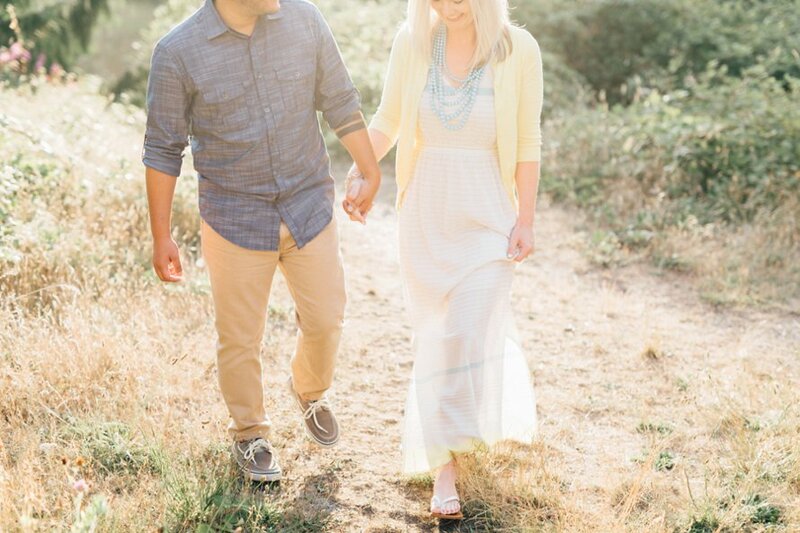 Cheers to a truly exciting season in life -I can hardly wait for the big day at JM Cellars this month!